It is always a pleasure to welcome visiting yachtsmen and we encourage the use of our club’s ample facilities and welcome visitors to participate in our various social, cruising and racing activities. 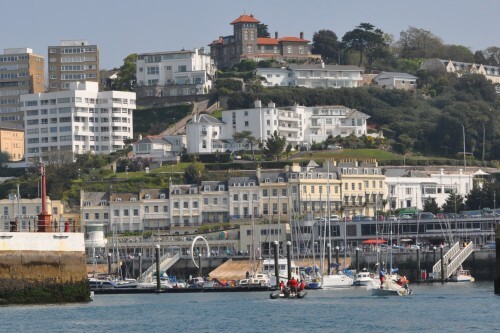 Being in close proximity to Torquay town centre, there is an abundance of accommodation from B&B to four-star luxury, a whole host of restaurants and, for the more adventurous, plenty of nightlife. The Harbour has a large events pontoon and a town dock pontoon to accommodate visiting yachts and a crane situated on the South Pier for boat lifting. There is ample parking, with the Clubhouse just one minute from the car park and two minutes from the dinghy park and yacht berths. If you wish to bring a rally to the club and harbour then call the club administrator .